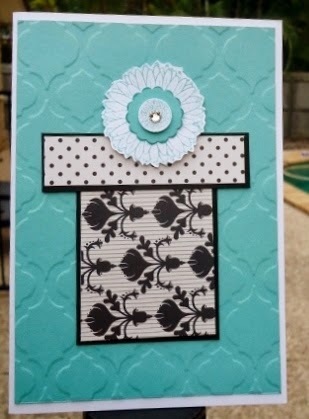 Hi there Stampers! Yes I know its been a long time between posts. Family illness put a whole lot of things on the back burner until the end of last month. a I havent been idle all the time, although all of December and most of January most of my time was spent at a hospital but now hopefully we are again on the upward scale and back to whatever normal is. The project I am showing here, was initially scheduled for December, but held it last month finally and is for a One Sheet Wonder using just a 6 x 6" piece of DSP. 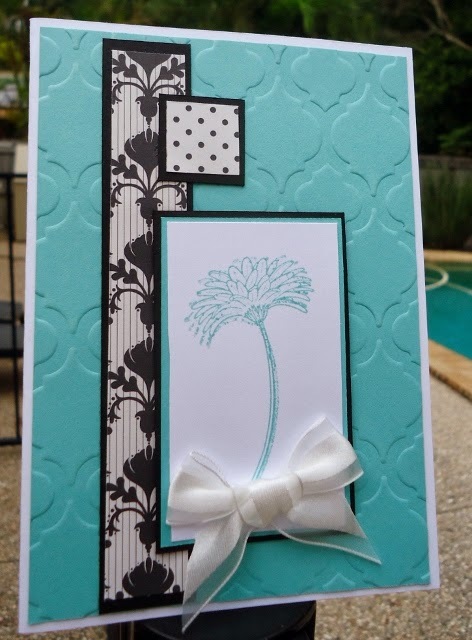 The cutting of the DSP is not my template, and I found it on Pinterest . 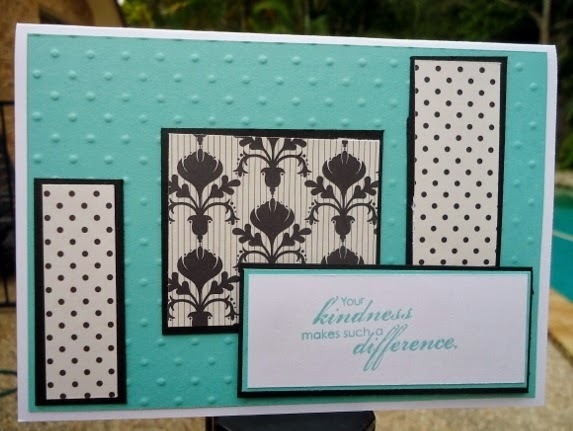 There are lots to be found and this one come from Verves Stamps and what a wonderful way to use up some of those smaller squares of DSP! 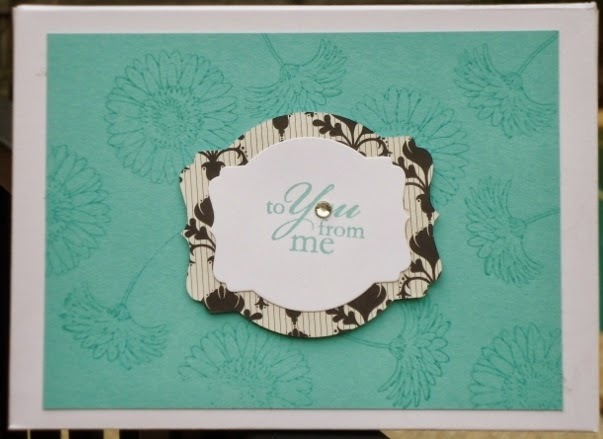 Firstly, we made the box to hold the cards and the envelopes in, and for the box we used the Envelope Punch Board, I love that tool makes it so very easy to whip up a box or indeed any size envelope you might need! The flap at the back was kept in place by punching out a Modern Label Punch and securing it on either side with a mini silver brad. The cards them selves were so easy and quick to do, and the ladies were amazed at how lovely they were, and all by using small pieces of DSP. 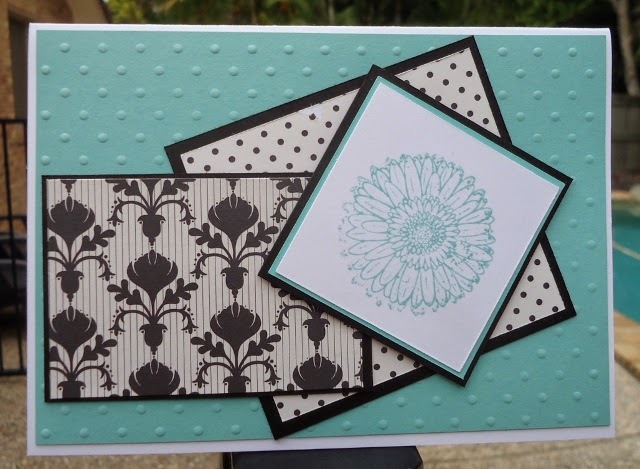 We used Perfect Polka Dots and also the Modern Mosaic Embossing Folders, to add a bit of interest. We used The Reason to Smile Clear Stamp Set for all the flowers. I was so happy to be able to get back into sharing what I love and also to show my lovely ladies how to make this delightful set. I will hopefully pop in and out more regularly now and show you what I have been doing in my 'spare' time. 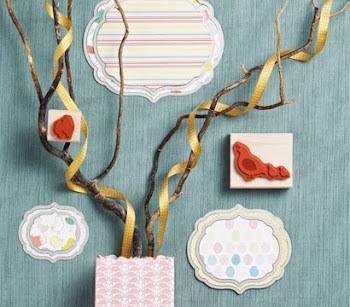 If you would like the instructions on how to make this beautiful box and the cards, just send me an email and I will email the instructions to you. These look amazing Gwen, hope you still have a kit for me. I can't wait to put them together.